Coaching young, inexperienced players or getting into the youth coaching game is one of the hardest things to do in all of basketball. Basketball Basics gives you much-needed guidance and gets you started in the right direction! 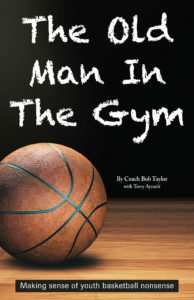 Authored by nationally respected youth coach and Winning Hoops Editorial Advisory Board member Bill Salyers, this 160-page book details the entire process of coaching youth basketball from A-to-Z! Leaving no stone unturned — and jam-packed with detailed diagrams, fundamental drills, game-tested plays and much more — you’ll immediately benefit from the highly valuable information.